This press kit contains the latest news, image gallery, video gallery, press materials, and what others are saying for Surface. Ultralight at 1.7 pounds with the versatility of the 165-degree kickstand, create your own space in a café, train, plane or couch. Ultralight at 1.7 pounds with the versatility of the 165-degree kickstand, create your own space in a café, train, plane or couch. 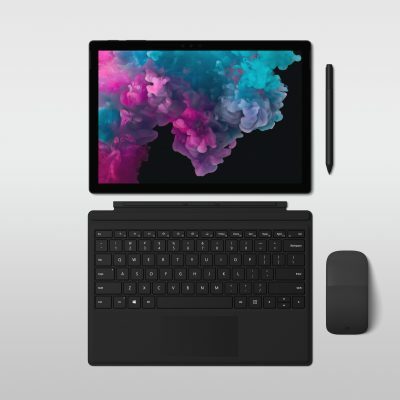 Complement your style with the all new matte black Surface Pro 6, a timeliness and sophisticated color to an elegant form factor. Custom free-edge drivers provide the amazing sound quality you expect from a premium headset, allowing you to listen to music or watch videos with clear, crisp sound.Custom free-edge drivers provide the amazing sound quality you expect from a premium headset, allowing you to listen to music or watch videos with clear, crisp sound. Designed with Skype in mind, there are two beam-forming microphones on each ear cup to focus on the sounds you want to capture, for excellent call experiences.Designed with Skype in mind, there are two beam-forming microphones on each ear cup to focus on the sounds you want to capture, for excellent call experiences. Designed for amazing audio experience balanced with great voice allowing you to move from music and movies to Skype calls with high quality.Designed for amazing audio experience balanced with great voice allowing you to move from music and movies to Skype calls with high quality. Easily connect Surface Headphones to your Windows 10 PC right out of the box by enabling Swift Pair.Easily connect Surface Headphones to your Windows 10 PC right out of the box by enabling Swift Pair. Surface Studio 2’s improved performance handles demanding software that enables you to edit stunning photographs, run circles around renders and create rich 3-D images. Surface Studio 2 is the most powerful Surface ever, built for creators who need vibrancy, high graphics performance and fast processing.Surface Studio 2 is the most powerful Surface ever, built for creators who need vibrancy, high graphics performance and fast processing. 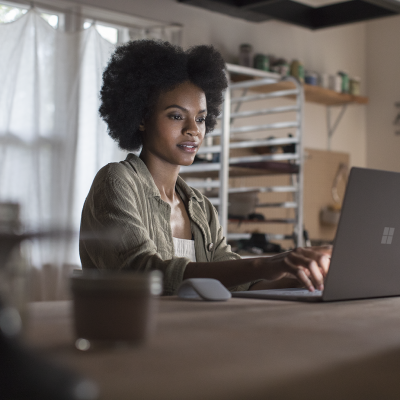 Experience more versatility when paired with the Surface Go Type Cover, the new Surface Mobile Mouse and Surface Pen. The hinge design helps you find the perfect angle for any task: from adjusting the device angle on the plane to pushing the kickstand down to ink on a photo to share with your friends. Complete the full-laptop capabilities with Surface Mobile Mouse, which features Bluetooth pairing and elegant design. 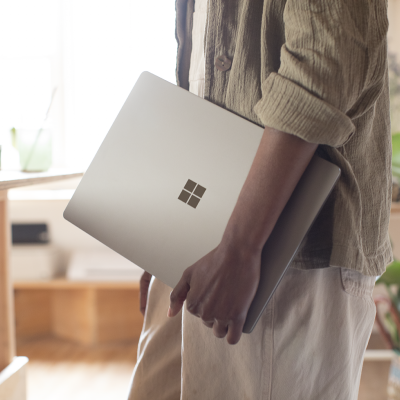 The Surface Go Signature Type Cover features the proven scissor key mechanism to provide 1.0 mm of mechanical and stable key travel for an easier, more consistent and more accurate typing experience. With laptop performance and tablet portability, Surface Go helps you stay connected while on the move or at home. Surface Go is your notebook for imagination, your best friend on the plane and your family’s trusted confidant. With up to 9 hours of battery life,3 Surface Go has plenty of unplugged power, taking you from work or family projects to relaxing with your favorite TV shows, all on a single charge. North America Infographic: Would college students ditch their date for their device? Europe Infographic: Would university students ditch their date for their device? Asia Infographic: Would university students ditch their date for their device? Microsoft announces Surface Go: the most portable and affordable Surface product yet. Surface Pro 3 APAC infographic – converged life, siloed devices? A survey of 2,900 working professionals in 8 Asia Pacific Markets – Australia, New Zealand, Singapore, Hong Kong, Taiwan, Thailand, Korea and Malaysia – confirms that they prefer using one device to get more done – at home, in the office and everywhere in between. The process of customizing your Surface Pro 3 and choosing the apps that will make it uniquely yours starts now. 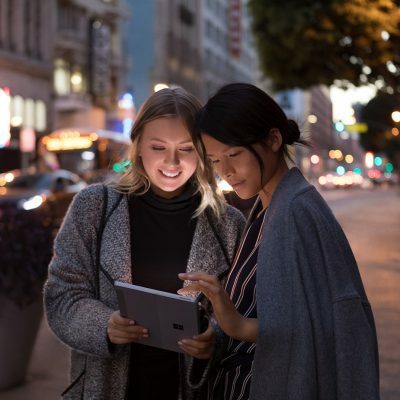 Based on our team’s use of Surface Pro 3, as well as feedback from customers and fans, we have a few recommendations of awesome apps and a few things you can do right out of the box to start enjoying your new device immediately. 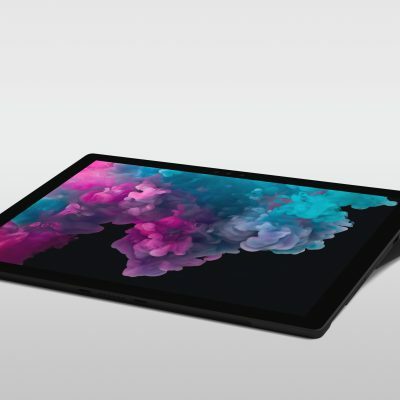 Surface Pro 3 – the tablet that can replace your laptop – is now on sale at retail stores, online, and through authorized resellers in Canada and the United States. 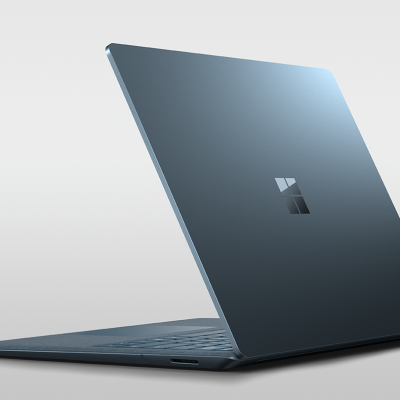 Pre-order for Surface Pro 3 – the tablet that can replace your laptop – Surface Pro Type Cover and Surface Pen is now open. Microsoft Corp. introduced Surface Pro 3 — the lightweight tablet that packs the power and performance you expect from a laptop. Remarks by Microsoft’s Satya Nadella, CEO, and Panos Panay, corporate vice president of Surface, New York City, May 20, 2014. Surface 2 and Surface Pro 2 are now available! Watch an on-demand presentation of the Monday, Sept. 23, Surface 2 launch event in New York City.